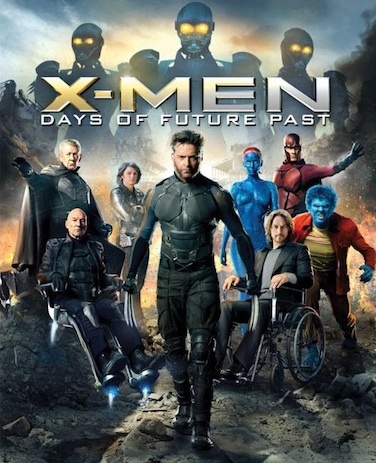 Last week, I finally got around to watching X-Men: Days of Future past. The premise is that the events of the original trilogy led to an apocalyptic future where genocidal robots, called Sentinels, fought a war with mutant-kind, and the rest of humanity was collateral damage. 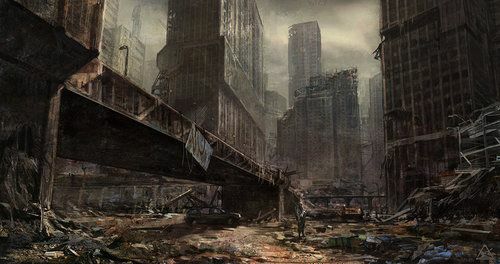 As a result, there are very few people left in this apocalyptic wasteland, and it’s all because we couldn’t learn to overcome our primal fear of people who are different. It’s one of my favorite storylines from the comic books, and no, it isn’t just like Terminator. In my opinion, it is one extreme conclusion that puts the main theme of the X-Men up front with a necessarily heavy-handed warning: Learn to live in peace with each other, or this will happen. In Days of Future Past, a fan-favorite mutant, Kitty Pryde, makes her first appearance. She is little more than a narrative tool in this storyline, and that’s really unfortunate, but the film has given Kitty the ability to send the consciousness of someone back into their past self. Therefore, they can alter the past with their future knowledge. Because of his ability to heal, Wolverine is chosen to go all the way back to the moment in the 70s that they’ve decided is the most important event in leading to this bleak future. He is to embody his past self, find Professor X and Magneto, and get them to work together to stop Mystique from assassinating Bolivar Trask, the man most directly responsible for creating the genocidal robots. Okay, this is a bit like Terminator, but whatever. Anyway, if you’re still with me, the reason I waited so long to see Days of Future Past, despite being a very passionate X-Men fan and being excited to see this storyline play on the screen, was because I was afraid. Unfortunately, my fears played out exactly as I expected, but the film is necessary if we’re to get more good X-Men films. Days of Future Past is contrived. The story unfolds in a very rigid way. If you don’t understand what I mean, one gauge for contrivance is asking whether you seem to innately understand the stakes or whether characters have to essentially explain them to you. There are several scenes in Days of Future Past in which Professor Xavier or Wolverine transparently speaks directly to the audience. They’re just not looking into the camera, so it’s technically not breaking the fourth wall, right guys!? This ultimately leads to an unsatisfying narrative, even if it isn’t difficult to see Singer’s directing prowess on full display behind it. And that’s what’s unfortunate. It’s easy to see that, if not for X-Men 3, Days of Future Past could have been excellent. But it’s okay. Sort of. As Kitty Pryde is only a narrative tool in this film, so is the film, itself. The fact that they’ve sent Wolverine back in time to change the past and that the era they chose to send him to was before the first X-Men film means, in essence, they are wiping X-Men 3 right off of the franchise slate and starting over. Days of Future Past means X-Men 3 never happened. “Just like The Sarah Connor Chronicles did for the Terminator series and that one’s third film?” Oh, shut it! It’s interesting to me to think about how Singer must have felt to know Brett Ratner was going to violate his series. I can’t imagine the rage he must have endured to know his first two X-Men films would forever culminate in a half-baked, contrived, nonsense of a film, and it was because he had contracted for a Superman film. When he returned to the X-Men, he made First Class, which was good in its own right (the opening scene is amazing! ), but suffers from the same ailments of contrivance as Days of Future Past, albeit to a lesser degree. Seeing Days of Future Past, I understand now what he was doing. He was setting this film up, and his ultimate goal was to erase Brett Ratner from the franchise, even if it would cost him his first two films. When I walked out of that move theater in 2006 and was fuming, it was nothing compared to what I imagine Singer felt. He would go on to dedicate two films and sacrifice two films (we’re talking what probably accumulates to a decade-plus of his life) just to officially make one film irrelevant. That’s some fury right there. Watch Days of Future Past for some really good action sequences and effects. Watch it for some interesting scenes and some good writing and acting. Watch it because it’s one of the last times we’ll see Hugh Jackman in the role that he is perfect for. But don’t watch it to love something. You’ll just get your heart broken.